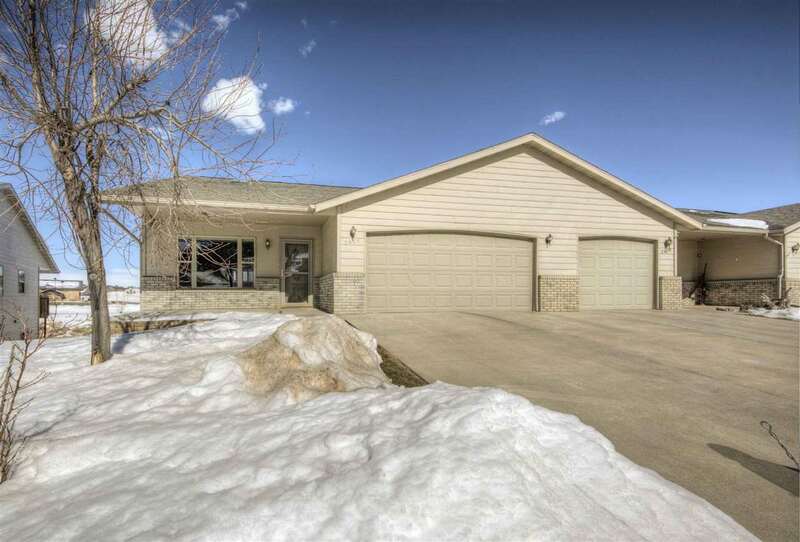 Call or Text - Listing Agent - Kade Welfl - The Real Estate Center of Spearfish - 605-210-0010 for more information. The VA Loan on this Home is Assumable. The Assumable interest rate is 4.125% Vaulted Ceilings, Hardwood Floors and Not a Single Step on the main level.... Retirement Home. The homeowners association takes care of all exterior maintenance including lawn care and snow removal. Everything you need can be found on the main level including washer/dryer, master bedroom with a master bathroom, an additional bedroom and second bathroom. The back deck looks over the green space of the Countryside Addition and the Northern Hills. A finished reading nook/office and private deck are located on the second level, creating a cozy space to unwind. The basement is bright with natural light and partially finished. A sliding glass door leads to the expansive backyard and commons area for the subdivision. Buyer is responsible for verifying all information on this MLS document.